GLOBAL WARMING can negatively affect the growth of the eucalyptus tree. Researchers at the University of Western Sydney in Australia conducted a climate shift experiment on two eucalyptus species-Eucalyptus tereticornis and E grandis-using 21 varieties of seeds. All seeds were grown in climate-controlled glasshouses,some replicating summer conditions occurring in the seeds' area of origin and some with an additional warming temperature of 3.5ÊC. 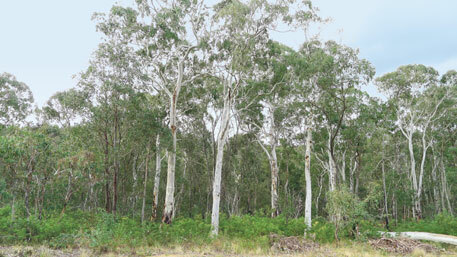 While the cool-origin eucalypts showed an increase in photosynthetic activity, those originating in warm areas responded to increased temperatures with a reduction in photosynthetic capacity and total leaf area, leading to a reduced growth of 10 per cent. We ALL know that water is essential for sustaining life. But how much water is enough? The answer, surprisingly, is much less than we think. Researchers say it is not the quantity but concentration that matters. Life needs "biologically available" water, which scientists call water activity. If pure water, which represents maximum water activity, has the arbitrary value of one, organisms can get by at 0.6 water activity. 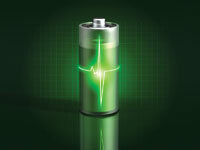 A TINY prototype of a battery called nanopore can miniaturise energy storage. It has a tiny hole in a ceramic sheet that holds electrolyte to carry the electrical charge between electrodes at either end. Millions of these nanopores can be crammed into a battery the size of a postage stamp. The battery can be fully charged in 12 minutes. Carnivores FINDthe smell of an aldehyde, trans-4,5-epoxy-(E)-2-decenal, as attractive as blood. In a study at a wildlife park in Sweden,four predators-Asian wild dogs, African wild dogs, South American bush dogs and Siberian tigers-were exposed to the scent of four different liquids put on wooden logs: lab-produced aldehyde, horse blood, fruit essence and a near-odourless solvent. The animals were equally attracted to the logs containing blood and aldehyde, one of the components found in blood, while the other two logs aroused little interest. The most common behaviours were sniffing, licking, biting, pawing and toying. The study's results can be used to stimulate animals in captivity and keep them fit.